Over the last few years I haven’t really had much time to put any effort into any of my own personal sites including this one, so I’m hoping that can change over the next few months with some more content here, and some new development & design work on my other sites. At the end of May the penguin update was rolled out and hit one of my newish clients that had a pretty poor backlink profile. When I took over the site there was a dilemma as to whether to spend time cleaning the site’s link profile as well as improving the on site over optimisation or just forging ahead with building a better site, with better content, less over optimisation and better quality links. Getting hit by Penguin 2 obviously made the decision easier. 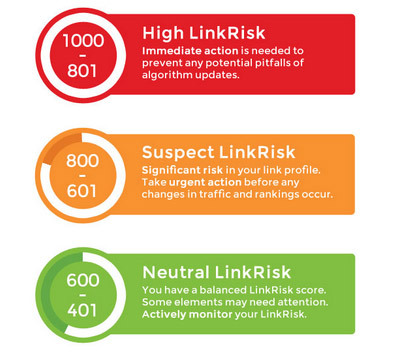 I decided to run LinkRisk, to see if it matched what I thought were the poor links and to see how they scored the site according to their chart below. I can across a few screenshots I had taken over the last couple of years, so I thought I’d just show a timeline of the changing nature of Google’s search and the danger of just relying on your ‘FREE’ organic traffic to keep on delivering and improving. 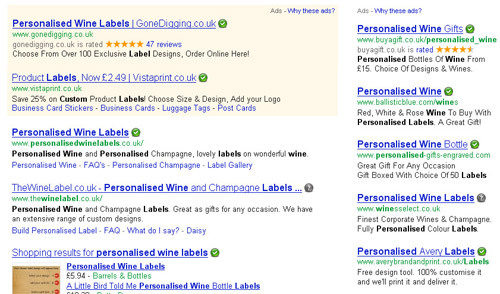 Below you can see the organic listings, with a number of Pay Per Click ads at the top. Great if you’re top of the pile in the organic listings. There’s also shopping results just below the 2 organic listings.